Female guitarists are often overlooked despite their ability to compose amazing acoustic guitar pieces. From Elizabeth Cotten to Nancy Wilson, my list of personal favorites spawns a wide variety of genres. 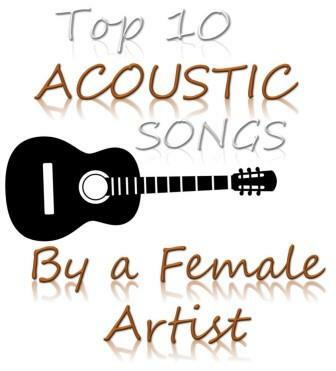 Here are my top ten best female acoustic guitar songs. I chose these songs based on how well they showcase the musical abilities of each artist. Tracy Chapman bookends my ten best list. Chapman is one of the most proficient female acoustic guitarists of all time. This is her most memorable hit and boasts the heartfelt lyrics Chapman is known for. The song was released on her debut album in 1988 and enjoyed heavy rotation on MTV in an era dominated by all-male electrified Glam Rock bands. It has since been covered by many other artists, but nothing can mimic Chapman’s original. This song makes the list even though it isn’t specifically acoustic. Released on Heart’s Dreamboat Annie in 1975, Nancy Wilson’s blazing acoustic introduction showed what a girl and a guitar were capable of. It established Wilson as a legitimate musical talent and has withstood the test of time as a classic. Wilson still breaks this one out during her solo shows. The Hissing of Summer Lawns was Joni Mitchell’s seventh career album but it resonated with a fresh appeal that highlighted Mitchell’s ability to tell stories. The narrative in this song is poignant and punctuated by a bare bones acoustic guitar track. Few can dispute the importance of Joan Baez to the American musical landscape. This song is her take on a tune originally released by The Band. Baez strips it down so that her playing and the lyrics can take center stage. It is everything good about Joan Baez served up in a little over three minutes. Most people tend to think of male legends like Robert Johnson when they think about the Delta Blues. Cotten was a trailblazer. She was both female and African-American, not easy things to surmount in 1956 when the song was released. Cotten is said to have written the song when she was just nine years old. It has since become a standard for every aspiring blues musician. While she often gets lost in the shadow cast by her famous husband, Patti Scialfa stepped out of her role as Bruce Springsteen’s partner and acoustic guitarist to release Rumble Doll in 1993. The title track is a testament to Scialfa’s abilities as a songwriter and a talented guitar player. Bonnie Raitt may be best known for her work on the electric guitar, but this song from her early career shows off her acoustic skills. Raitt combines a 12-string with a traditional acoustic on the studio version to produce a layered track that is filled with melodic runs and soft rhythm. It was released in 1972 on the Give it Up album that went a long way toward defining Raitt’s path as a musician. Amy Ray and Emily Saliers broke through to the mainstream with their second studio album in 1989 titled Indigo Girls after the name of their duo. This song was the one hit from the album and it landed them on MTV where they were discovered by a new audience of enthusiastic music fans. Both women contribute to the catchy and fast acoustic riffs which drive the tune. Ani DiFranco’s contribution of this cover to a Bruce Springsteen tribute album represents the guitarist at her best. Her emotional vocal sits on top of a sparse acoustic arrangement that is as bleak as the album Nebraska which inspired the recording. New Beginning was just that for Tracy Chapman. It signified her reemergence as a major influence among female acoustic guitar players. This tune captures the top spot on my top ten list because of its combination of lyrics and music. Each note of Chapman’s playing serves to reinforce the narrative she is delivering. There are many talented female acoustic guitar players who did not make this list. The best way to honor these amazing musicians is to explore their music. I have found that each new song I discover serves as a gateway to others. The reward for me is that I am regularly introduced to these amazing women that are masters of the acoustic guitar and their work. What else would be in your top 10? Would love to hear others picks – just leave a comment in the comments section below.